The above products are recommended for installation or mounting of the Long Reach Handrail Bracket. The best Handrail Brackets available. Our brackets are heavy duty, very easy to install and look great. The single hole design is far easier to use than any other style. The smooth lines are attractive and safe. You will love your products from StairSuppliesTM. 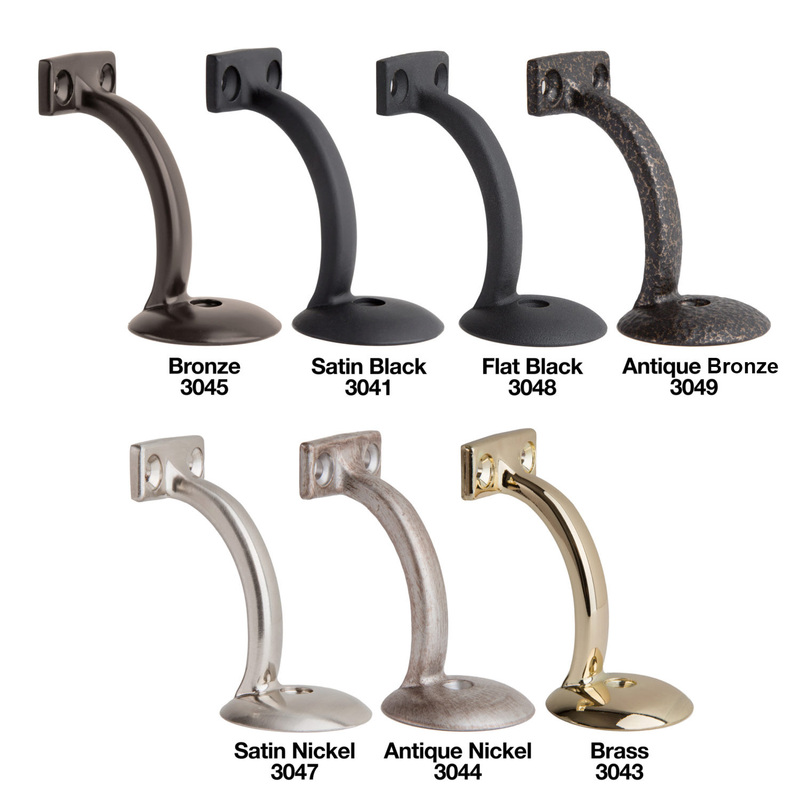 Classic Handrail Brackets come with installation screws that match the finish on the brackets. What are the dimensions of the bolt? The screw for attaching the bracket to the wall is 2″ long. The screws for attaching the bracket to the handrail are 1 3/16″. Let us know if you’ve got any other questions! What is the dimension from the wall to the centre of the handrail bracket? The projection of this handrail bracket is 3 3/8″. Let us know if you’ve got other questions. Is it possible to see the install instructions for this long reach bracket? Thanks! – Pre-drill a hole into a stud on your wall. – Use this hole to mount the bracket to the wall (tighten enough to be snug, but so that it still rotates). – Repeat this for all of our brackets. – Rest the handrail on the brackets, and use a pencil to line up the holes on the bottom of the handrail. – Pre-drill the holes on the bottom of your handrail. – Tighten the screws into the bottom of the handrail, and then tighten the wall screws all the way. I don’t know the exact material that they are made of, they are some type of iron. Do you have handrail brackets for round handrails? Unfortunately no, all of our handrail brackets are made to mount to a flat surface. The round handrail that we manufacture has a flat bottom. I have a situation where a wall juts out for part of the wall that the handrail goes on. What is your longest extended bracket? In most situations you can use a combination of our Classic Handrail Bracket & our Long Reach Handrail Bracket to accomplish that. The Classic bracket has a reach of 2 5/8″. The Long Reach bracket has a reach of 3 3/8″. If you need additional reach, you can always add a rosette behind the bracket to extend it further. Please let us know if you have any other questions. You state 3 3/8 is projection. Is this to center of mounting hole or the outside edge of the mounting flange? The 3 3/8″ is to the center of the bracket plate. If you take a look at the image of the bracket, you’ll see two smaller pictures to the left of it. One of those pictures is a diagram that shows all the measurements. Hopefully, that helps you out. If not, feel free to reach out with any other questions you might have! What Diameter of center hole is in the bracket? I am looking to reuse my existing mounting bolts in the concrete walls. The center hole has a diameter of 1/4″. Thanks for the question Darby. 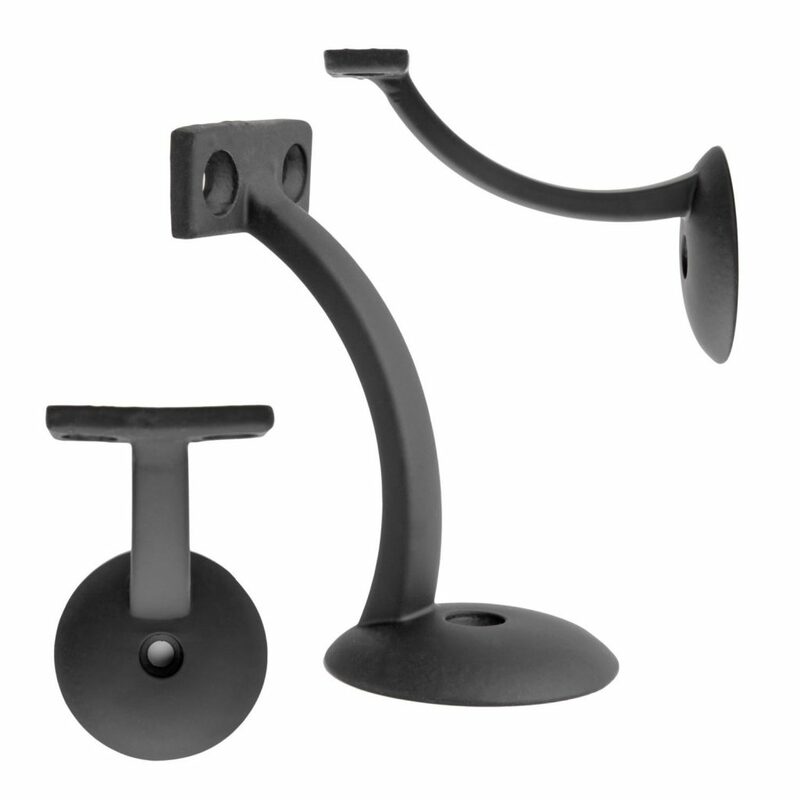 The long reach handrail bracket is the longest projection we sell at this time. Unfortunately we don’t have any brackets with that long of a reach. 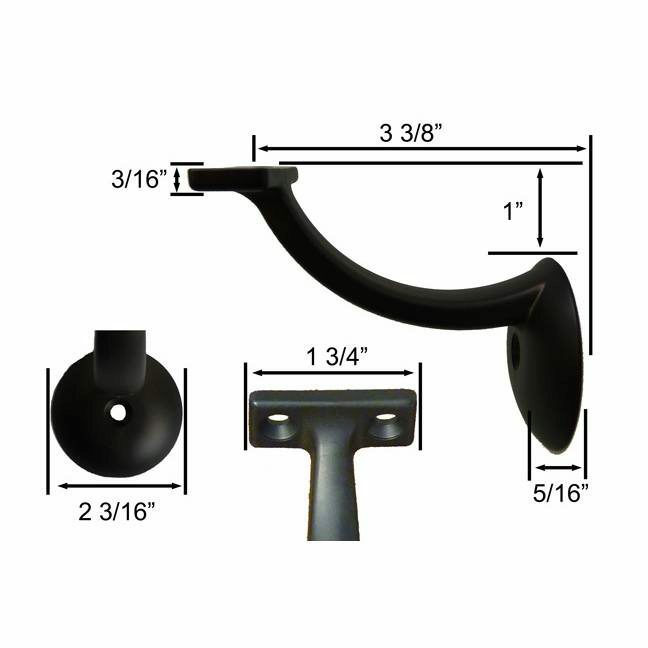 You have any handrail bracket that is 3.5″ to 3.75″ Wall to center.? Thanks for the question Rikk. Unfortunately 3 3/8″ is the longest reach of any of our handrail brackets.